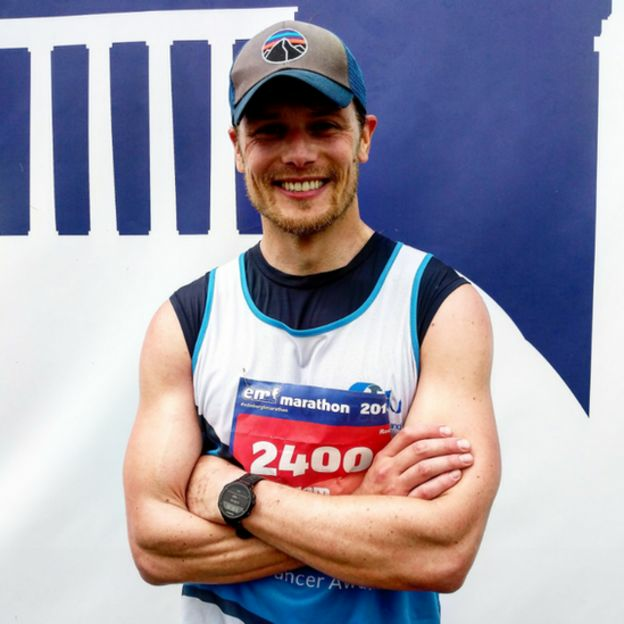 Outlander star Sam Heughan was among an estimated 35,000 runners who took to the roads in this weekend’s Edinburgh Marathon Festival. 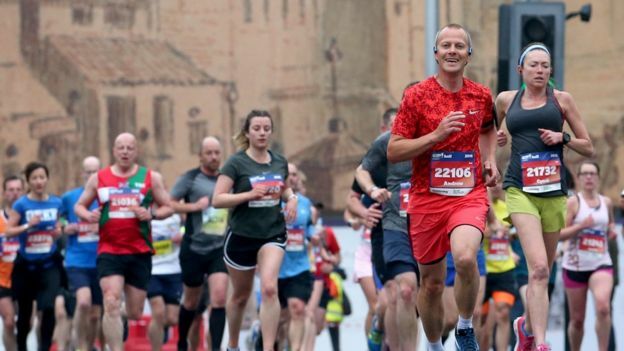 The actor completed the marathon as part of a challenge to raise funds for male cancer awareness charity Cahonas Scotland. 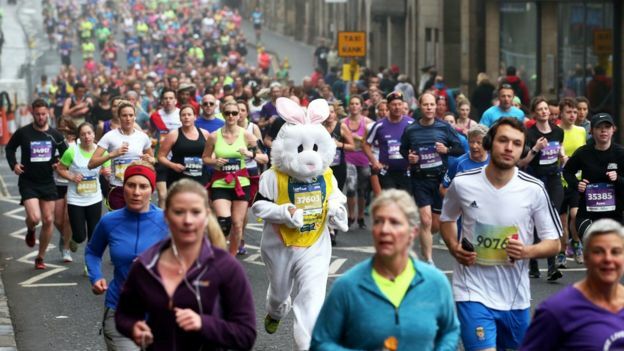 Organisers said people from all over the world participated in Scotland’s biggest running festival. 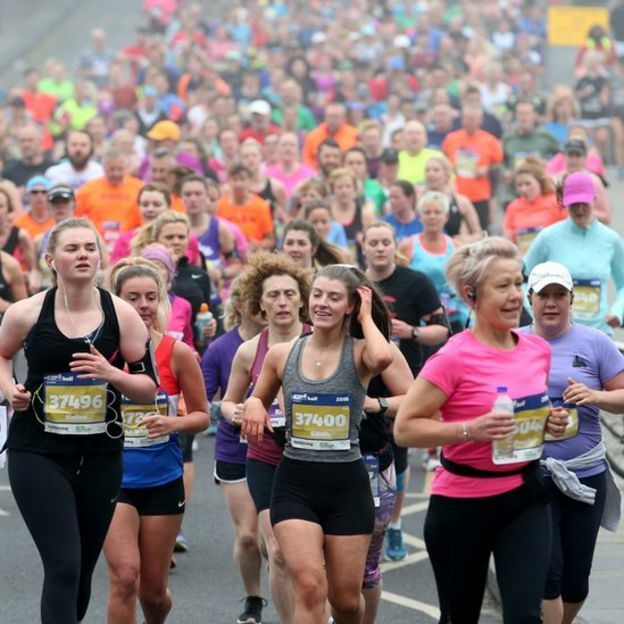 Events included a marathon, half-marathon, 10k and 5k. Kenyan Joel Kipkemboi Kiptoo took advantage of good running conditions to set a course record in the men’s marathon, finishing in two hours, 13 minutes and 33 seconds. He beat the previous record set in 2005 by almost two minutes. American Jeffrey Stein took second place, followed by local favourite Michael Crawley in third. The women’s race was dominated by Kenyan athlete Caroline Jepchirchir, who led from the front with a time of two hours, 47 minutes and 35 seconds.